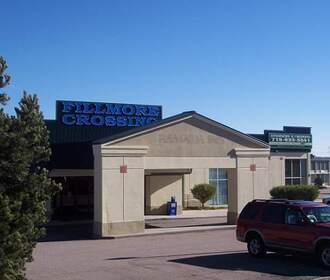 Fillmore Crossing is a newly renovated 189 unit apartment community on 7.71 acres located at the North East intersection of I-25 and Fillmore in Colorado Springs, Colorado. We are one exit away from Garden of the Gods and are close to downtown Colorado Springs as well as all military bases. 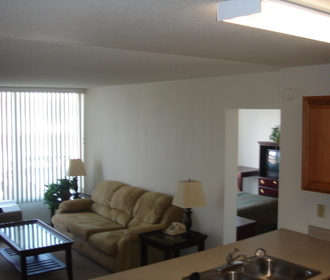 The 189 units are a mixture of efficiencies, studios, one bedroom, two bedrooms and lofts. Fillmore Crossing is an all inclusive community which means everything is included in one low flat rate. 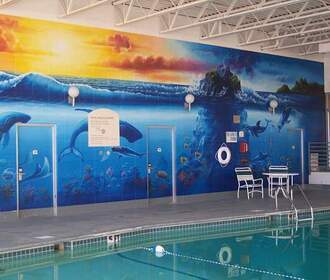 This rate includes all utilities, satellite TV with 2 HBO channels, local phone service and voicemail, wired for high speed wireless internet access, a one acre dog park, an indoor heated swimming pool, 24 hour fitness room, recreation room with a kitchenette and big screen TV. For your convenience we also have garages for rent. Our lease terms range from 6 months up to 12 months.